Celebration Foundation Illumination™ is rated 4.5 out of 5 by 227. Your best-selling Celebration Foundation™ just got brighter! Experience the same full-coverage, ultra-hydrating powder foundation that lets you achieve your most flawless skin in 30 seconds—now with Drops of Light Technology™ for added radiance and a lit-from-within glow. Celebration Foundation Illumination™ instantly airbrushes the look of imperfections while delivering highly pigmented, buildable coverage that lasts all day, never creases or cracks—and makes your skin look younger! Developed with plastic surgeons, the talc-free formula absorbs oil and shine without settling into fine lines and wrinkles, and is infused with anti-aging, skin-loving ingredients including hydrolyzed collagen, silk, peptides and antioxidants for your most beautiful results. Just a small amount of this game-changing powder goes a long way for all-over complexion perfection! Best-selling formula, now with Drops of Light Technology™ for instantly brighter skin! Buff in circular sweeping motions, then down and outward for natural-looking results. This makeup bag must-have is completely portable for easy touch-ups on the go! Rated 4 out of 5 by Chelle4247 from Quick application I don't enjoy applying makeup, but unfortunately I do not look good without it. This is superior to liquid makeup because it s quick & easy to apply. I still need to use a sponge to apply under the eyes & around nose, but that is okay. It doesn't look cakey at the end of the day. For the price, you do not receive much product, & it is messy. Good product overall, & I have reordered. Rated 5 out of 5 by GammyBx10 from Wonderful products! I have rosacea and very sensitive skin. IT cosmetics makes my life so much easier because I have no problems wearing it! Thank you for making such a wonderful product line. I’m so happy I found you! Rated 5 out of 5 by parrothead from wonderful for mature skin I love this foundation the color is perfect and the coverage is excellent. Although I have very mature skin I do not get any migration of product into my wrinkles. I'm concerned that using CFI on top of my concealer (Bye Bye Under Eye) will result in caking. Can you please walk me through the application process that would prevent this from happening? How do you use the little brush that is in the bottom of the compact? What is it for? Is this good for an older person ( I'm 77) or would you recommend one of the liquids? If you hydrate your skin well beforehand, it might work well for you. It&rsquo;s surprisingly less dry/drying than most other powder foundations I&rsquo;ve tried (I&rsquo;d given up, then gave this a shot - glad I did!). I&rsquo;m only middle-aged (47), so can&rsquo;t attest to how I&rsquo;d exactly feel about this product on my skin at 77, but do have dry, aging skin, and a lot of wrinkles and crows feet around my eyes (plus deep, dark circles I need a lot of product to cover - which can really fall into and exemplify the creases). If I don&rsquo;t hydrate this area WELL before applying this powder foundation, the lines and creases &nbsp;around my eyes really show, making me look drier (and older IMO). But, if I use a good moisturizwr, and oil primer - key step (I use NYX brand) - it&rsquo;s all good.&nbsp;I really love this foundation, primarily because it&rsquo;s so easy to use, and even more so now that I have a good pre-hydration routine down. I wore BeautiControl shade P2. I currently wear your CC+ Creme in Fair Light. 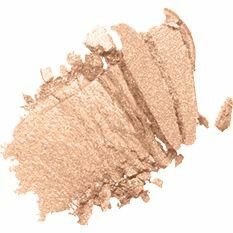 What shade would I wear in Celebration Illumination, since Fair Light isn't offered? I am a cool with pink undertones, blue-gray eyes, medium brown hair with some highlights. If im light #2 in the CC cream! what shade would I be in this? and also what brush is best for this? for full coverage. What is the difference in Celebration foundation and Bye Bye Foundation? I am MAC NC20--what shade is right for me? Hi there! Thank you for your question. Based on your current foundation shade, we recommend looking into the Celebration Foundation Illumination&trade; in the shade Light! We hope this helps, and can't wait for you to try IT out. XOXO Tina.